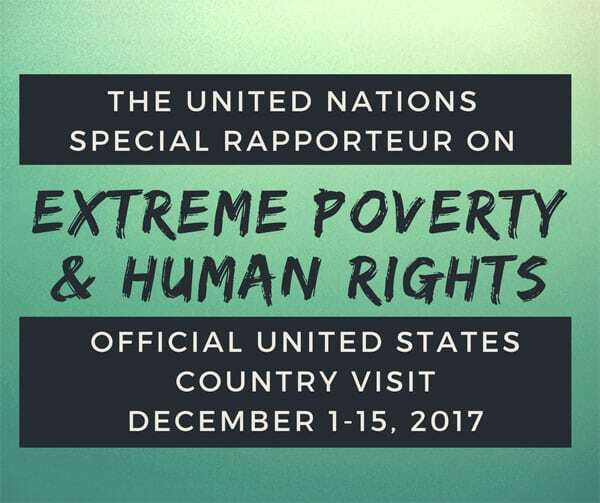 Philip Alston, United Nations Special Rapporteur on extreme poverty and human rights, will present his findings from his 12-day fact-finding tour on poverty in the US to the UN Human Rights Council in Geneva, Switzerland on June 21st. During his tour, Alston made stops in California, West Virginia, Alabama, and Puerto Rico. An early version of his findings was released in December and was covered in NPQ by both Jim Schaffer and Marty Levine, but his final report was only published a month ago. While Alston’s report focuses on poverty, its findings, as Sarah Gray in Fortune points out, are far broader, covering not just income inequality and child poverty, but also voting rights, mass incarceration, health care, racism, and stereotypes surrounding poverty, just to name a few. I went to West Virginia, one of the states that did not take the Medicaid expansion, where they have relatively low rates of health insurance, and I saw the extent to which very few government services are provided for people generally—not just health, but access to the internet and so on. In his report, Alston offers five policy recommendations. These are: 1) decriminalize being poor, 2) acknowledge the plight of the middle class, 3) acknowledge the damaging consequences of extreme inequality, 4) recognize a right to health care, and 5) get real about taxes (by which Alston means to encourage greater progressivity in the tax code). Despite all the positive signs, a significant number of Americans are quietly living at a level of poverty that rivals any in the world.